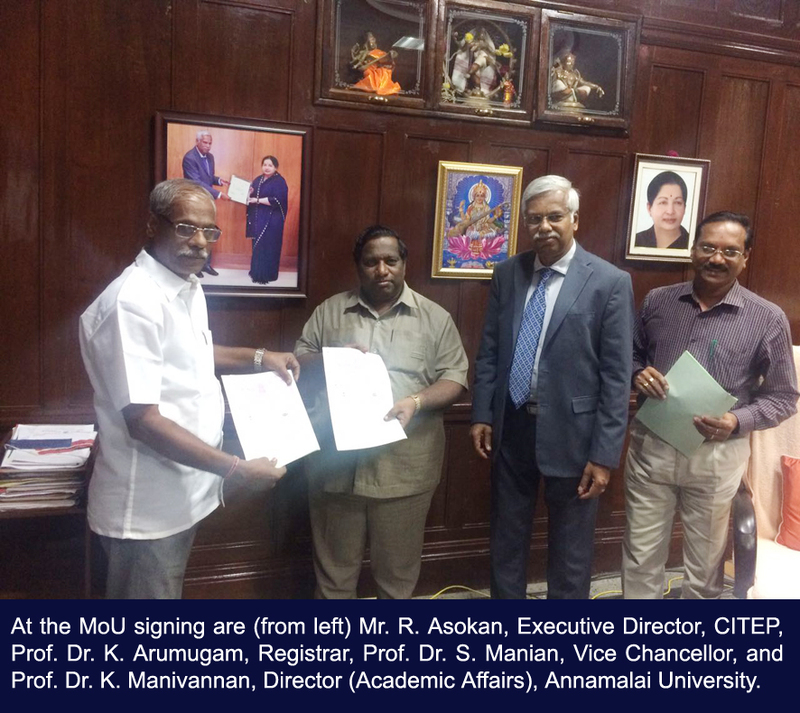 Annamalai University, the only unitary, residential, multi-faculty University in Tamil Nadu accredited with ‘A’ Grade by NAAC, established a Memorandum of Understanding with Centre for Indian Trade and Export Promotion (CITEP), a Not for Profit incorporated Organisation to promote trade, industry, agriculture and exports to conduct one-year Post-Graduate Diploma in “Export Management and Entrepreneurship” through hybrid mode. 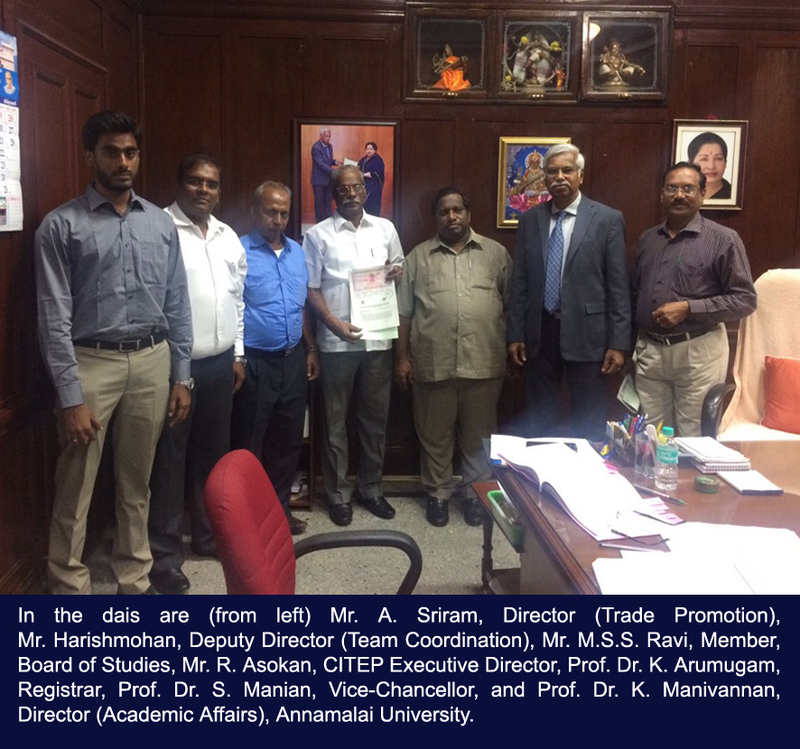 The unique speciality of this course is its highly practical exposure to the students on various aspects of export management and entrepreneurship soft skill development with options to become executives in the field of international trade; to become a successful exporter by facilitating direct marketing assistance; to become successful entrepreneur by coordinating from selection of technology up to marketing. The Centre is also providing a host of self-employment opportunities. For details, contact: Sriram (9840466111) / Harishmohan (9566011100).